You'll be £25.00 closer to your next £10.00 credit when you purchase From Antiquarian to Archaeologist. What's this? This volume forms a collection of papers tracking the emergence of the history of archaeology from a subject of marginal status in the 1980s to the mainstream subject which it is today. Professor Timothy Murray's essays have been widely cited and track over 20 years in the development of the subject. The papers are accompanied by a new introduction which surveys the development of the subject over the last 25 years as well as a reflection of what this means for the philosophy of archaeology and theoretical archaeology. 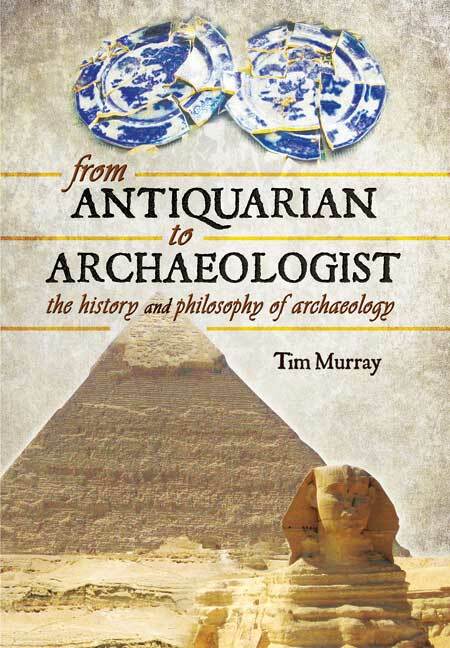 This volume spans Tim's successful career as an academic at the forefront of the study of the history of archaeology, both in Australia and internationally. During his career he has held posts in Britain and Europe as well as Australia. He has edited The Bulletin of the History of Archaeology since 2003. A lifetime's work has gone into this volume, which gives the reader plenty of meat into which to sink his or her teeth.